Who earns the most? Who earns the least? Who has the most equity? How can Australian tech startups compete with Silicon Valley for employees? SYDNEY, OCTOBER 2, 2018 – Startup roles and salaries vary widely, depending on the stage the business is at, according to new research into Australian tech startups. The amount of capital raised has a major impact on the kinds of roles hired, as well as the packages offered. The Australian Startup Salary Guide 2018 is the first comprehensive tech startup salary guide in Australia, conducted by executive search firm Think & Grow, in partnership with StartupAUS. In July 2018, remuneration packages of more than 2500 individuals were analysed to compile the guide. The data was provided by more than 350 respondents in an online survey and from 47 venture capital-backed companies that shared company-wide compensation data for their business. The VCs include Airtree Ventures, Blackbird Ventures, Blacksheep Capital, Carthona Capital, Full Circle, Reinventure, Rampersand and Square Peg Capital. All participants provided data which included base salary, benefits and incentives such as equity as well as the size of their company, funding and job title. Startups at three different levels of capital raising were researched: $0-$5 million; $5-$10 million and $10-$50 million. Understanding how candidates think about their package is an important first step for startups in building strong and lasting relationships with new employees and ensuring they secure the top talent, according to the report. “We can clearly see how companies undergo restructuring and expansion in terms of management roles as they raise higher amounts of capital. In a sector where many of the jobs are less than a decade old, a continued understanding and breakdown of salary benchmarks is key to the sector’s success,” Anthony Sochan, Think & Grow partner, said. Australia is not yet a primary tech market, compared with the US and some other countries. As a result, Australian tech startups face significant challenges when competing for international talent, and will have to think more creatively about ways to attract talent. “This report does away with the stereotype that working for a startup is a risky adventure fuelled by hope and instant noodles. Actually, start-ups – particularly funded startups – can provide secure, competitive salaries along with the prospect of owning equity in a high-potential business,” StartupAus CEO Alex McCauley said. “Whilst Australian startups may not yet be able to emulate the salary packages on offer in more mature ecosystem such as Silicon Valley, there are other ways they can compete. We have a fresh and energetic community where talent can really stand out and have powerful impact. We are also a fantastic gateway to Asia and have many non-monetary advantages such as great lifestyle, family friendly cities and considerably more generous vacation time than the US. “In the medium term, Australia can import talent from overseas, however longer term we need to grow talent locally, partnering with universities to do this. As a nation we need to take a longer term view as to how we are creating and mentoring the next generation of tech talent to create a high performing ecosystem,” Mr McCauley said. Download the full report at https://thinkandgrowinc.com/resourcelibrary/. Think & Grow launched in 2015 with a charter to help technology driven businesses to accelerate growth. Think & Grow help build clients’ organisational structures, build their executive teams, recruit rare skillsets, nurture specific talent pools and architect talent strategies. Its clients range from up and coming startups to established names like Canva and Airtasker. StartupAUS is Australia’s national startup advocacy group, working to support the tech community and accelerate the growth of Australian startups. StartupAUS believes a strong, home-grown tech is vital to future Australian jobs and wealth. But getting there will require a national imperative to create the right environment, with a supportive culture and more entrepreneurs with the right skills. Somebody call Mother Teresa. 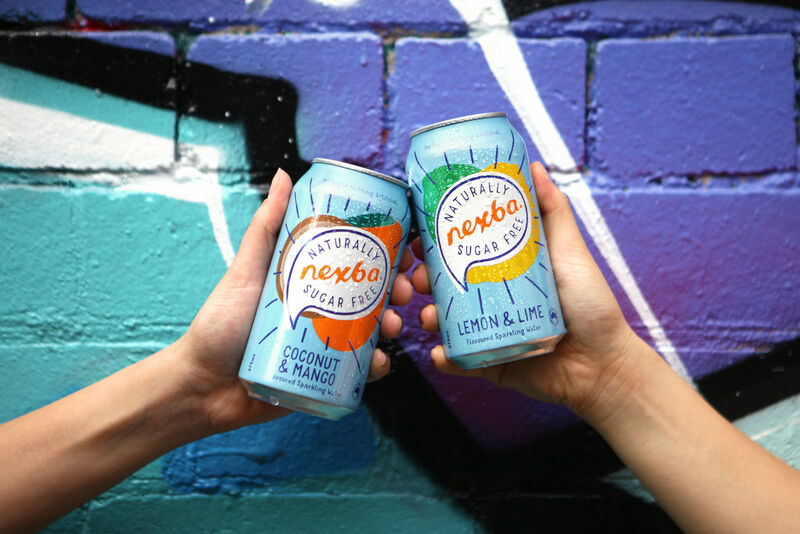 Here at Nexba we have just launched a brand spanking new natural sparkling water range made with no sugar, artificial sweeteners or indeed any other artificial nasties. To us ‘natural’ means no artificial flavours, colours or preservatives and certainly no GMO ingredients. As the Aussie pioneers of the Naturally Sugar Free ethos, we heard about our nation’s love to sparkle, and we’re not just talking about your highlighter, so we bumped our brains together and created this new range. Flavoured sparkling water is set to be one of the biggest trends of 2018, so prepare to say ‘cheers’ to all things that sparkle because fizz the season! The team has spent years innovating to create naturally sweet and full flavoured drinks without compromising on the taste you love. Resident flavouroloigst – Mr Smith – brings the new sparkling water range to you with on-the-money natural fruit flavours: Coconut & Mango; Lemon & lime; Strawberry & Raspberry and Watermelon, Cucumber & Mint. But it’s not just about taste, it’s about looking after number one. Did you know Australian’s consume the weight of over 1.9million kangaroo’s worth of sugary drinks every year? That the 6th highest cause of death in Australia is Diabetes? That kids aged 18-24 who drink 2 cans of fizzy drinks a day gain 12kg a year? That consuming 340ml of sugary drink a day (less than one can) increases your risk of type 2 diabetes by 22% when compared to drinking one can a month or less? It’s statistics like these that quite frankly p*** us off hence why we are so passionate about serving our fellow Aussies with quality naturally sugar free products to show your body some love. So, if we aren’t using sugar how does it taste so damn good I hear you say? Gear up for the geeky bit… All our sparkling waters contain purified sparkling water naturally sweetened with Erythitol and Stevia leaf extract. Erythritol is 100% natural and a zero-calorie food. Unlike artiﬁcial sweeteners, which are man-made synthetic chemical compounds formulated in a lab, Erythritol appears naturally in fruits such as pears, melons and grapes, as well as foods such as mushrooms and fermentation-derived foods such as wine, soy sauce and cheese. We combine this with dried stevia leaves which are steeped in hot water to extract glycosides: the sweet-tasting parts of the leaf. Simple but delicious. The sparkling water range is currently available at Woolworths nationwide. All other Nexba products can be found at both Coles and Woolworths as well as a range of other retail outlets. See www.nexba.com for more details. NEXBA. Naturally Sugar Free. No Sugar. Nothing Artificial. 04 October 2018, Sydney: The second series of ENTREPRENEURS will premiere tonight, October 4, at 8:30pm AEST on the new business, personal finance and luxury lifestyle channel� Your Money, taking a deep dive into Australia’s current breed of entrepreneurs and inspiring more entrepreneurial spirit in all Australians. 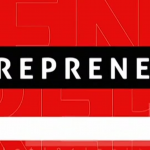 Hosted by successful Aussie entrepreneur� Jack Delosa, ENTREPRENEURS is a LIVE show featuring an expert panel of successful business founders who tackle a fresh entrepreneurial theme each week. 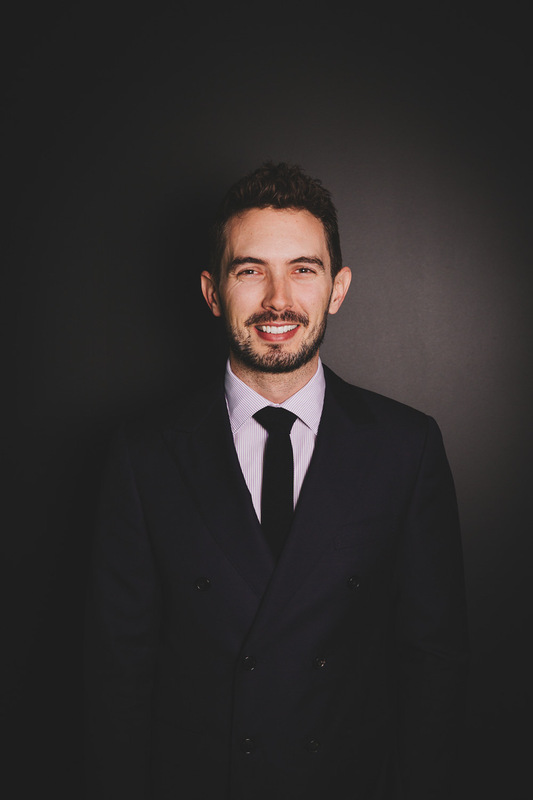 One of Australia’s leading entrepreneurs, Jack Delosa has been listed in the BRW Young Rich List since 2014. Launching with a blast, the opening episode of ENTREPRENEURS explores the exciting and fast-growing, $350 billion, global market of� space businesses and space tech. The expert panel will feature leading space entrepreneurs� Saber Astronautics Founder & CEO Jason Held, and space advocate� Aude Vignelles,� a space and aeronautics engineer and former representative of the European Space Agency team. Space startup founder Will Crowe� of� High Earth Orbit Robotics will pitch his new business to the panel. Proving anyone can be an entrepreneur at any age, the second episode of ENTREPRENEURS on Thursday 11 October will focus on� kidpreneurs, with a line-up of founders who have built successful businesses aged as young as ten. The panel will feature ‘Fiver for a Farmer’ creator ten-year-old� Jack Berne, student entrepreneur� Eliza Marks who built her tech startup� Stitch Hub whilst at University, and Australia’s youngest CEO� Alessandra Kitinas. Former young Australian of the Year and robotics guru,� Marita Cheng will feature on the show from San Francisco. Marita built her first robotic inventions whilst at high school. ENTREPRENEURS season two is a co-production between creative entrepreneur and startup champion Fleur Brown and� Your Money, a joint venture between Nine and Australian News Channel, which launched nationally to free-to-air, online and Foxtel audiences on October 1. ENTREPRENEURS is backed by national startup advocacy group,� StartupAUS. “Entrepreneurs is a great addition to our 8:30pm evening program line up on Your Money. The entrepreneurial community is a significant generator of employment in Australia and – increasingly so – is driving innovation. We are delighted to support it and, at the same time, all Australians can tune in for some weekly inspiration,” said Your Money CEO Kylie Merritt. “The show is created by entrepreneurs for entrepreneurs. It’s unique in its focus on Australian founders – those who have built their own businesses from the ground up,” said Entrepreneurs Executive Producer and Founder Fleur Brown. Leading the lively discussion each week is best-selling author Jack Delosa, the CEO and founder of The Entourage, a leading education institution for entrepreneurs. “My work has given me a privileged view into the businesses that are driving the economy and innovation in Australia and I’m excited to be sharing these stories with the Australian public and inspiring more success stories,” Jack said. About Jack Delosa:� Jack Delosa is Founder and CEO of Australia’s largest education institution for entrepreneurs, The Entourage, which has a community of 300,000 members. Jack’s vision is to improve traditional education by introducing a style of learning that puts the individual first. Under his leadership, The Entourage was awarded the 4th Best Place to Work in Australia by BRW magazine. Prior to The Entourage, Jack co-founded MBE Education, which assisted small and medium-sized enterprises in raising money from investors. MBE quickly became one of Australia’s fastest growing companies, helping their clients raise hundreds of millions of dollars. Along the way, Jack also became a high-profile investor in growth companies such as Q-Biotics and eMerchants (ASX:EML), and founded The Entourage Growth Fund, which invests in upstart businesses. Jack’s first book, Unprofessional, was highly acclaimed, reaching bestseller status within three weeks of launching. His latest book, Unwritten reached bestseller status in just one week. 13 June, 2018: A new national survey on energy investment attitudes and intentions of Australian Self Managed Super Fund (SMSF) trustees, released today, reveals 80 per cent of trustee members believe renewable energy, such as smart solar and battery, is important or critically important to securing Australia’s energy future and improving energy costs. The survey, which sought feedback from more than 400 SMSF members by new energy company Evergen and AMP Capital indicates members – particularly those over the age of 51 and who are retired or approaching retirement age – are serious about reducing their energy costs and are prepared to make long-term investments to ensure they have energy security. As Australia’s energy landscape undergoes a major shift, the findings demonstrate that the majority of SMSF members are putting their smart money on renewables. Eighty per cent of trustees are convinced that renewable energy sources and technologies are important to addressing Australia’s energy concerns. This includes 46 per cent who say renewable energy will be “critically important”. Forty-two per cent have made the switch and are using renewable energy in the home. A further seventeen per cent plan to switch and 15 per cent will explore their options. Forty-five per cent use or would use renewable energy even without a government subsidy. Evergen CEO Emlyn Keane said, “What is clear from the findings is that mature age Australians using an SMSF are mindful of escalating energy costs and are prepared to do something about it. They see significant value in renewables as both an economical and sustainable solution for both their own home and the country, which would explain why the majority of trustees have invested in renewables or are interested in doing so. “With Australia also on the cusp of a storage boom – 74 per cent of Australians expect household batteries to be commonplace in homes over the next decade – this group understands the role of battery storage in harvesting solar power as an efficient means of managing energy consumption, security and costs,” said Mr Keane. When it comes to incentives to invest in smart solar solutions, Australians in recent years have had access to government subsidies, predominantly for solar panels. Under the Federal Government’s new National Energy Guarantee (NEG), many of these subsidies are being phased out. Despite this, almost half (45 per cent) of members already use or plan to use renewable energy sources irrespective of government financial support. Sixteen per cent will only invest in solar solutions with a government subsidy, while 15 per cent are unsure. “While subsidies might be attractive, the majority of SMSF members are taking matters into their own hands and are no longer willing to pay the high prices set by legacy energy retailers,” said Mr Keane. “According to the latest Consumer Price Index (CPI), it is reported that electricity prices increased 12.4 per cent between December 2016 to 2017 – a cost that is also the number one worry for 82 per cent of Australians and above healthcare. Mr Keane says an initiative such as the ACT’s Next Generation Energy Storage Program is an example of a successful scheme that subsidised households against the upfront costs of installing a solar and battery system, and is an initiative that could be replicated under the NEG. “An initiative similar to the ACT’s, while only one part of a potential national solution, would help renewables become a mass market proposition,” he explained. Breaking even on the costs of implementing a solar and battery system was a concern for 51 per cent of respondents, while 32 per cent were concerned about the upfront installation payment. However, Evergen modelling shows consumers can start saving on energy costs and see a return on investment from day one. “Current Evergen customers are experiencing up to an 80 per cent reduction in energy costs upon installing our Intelligent Home Energy System. Typical payback periods are also dropping to between five and seven years. “A household in NSW using 10,000 kWh of electricity could attain $2,625 in savings in 12 months, which covers approximately 17 per cent of the cost of installation in one year,” said Mr Keane. Mr Keane says the value proposition for renewables is compelling, with a recent report by Green Energy Markets stating Australia produced enough renewable energy to power 7.1m homes between July 2016 to July 2017 – with rooftop solar installed over the period projected to offer $1.6b in power bill savings over the next decade. 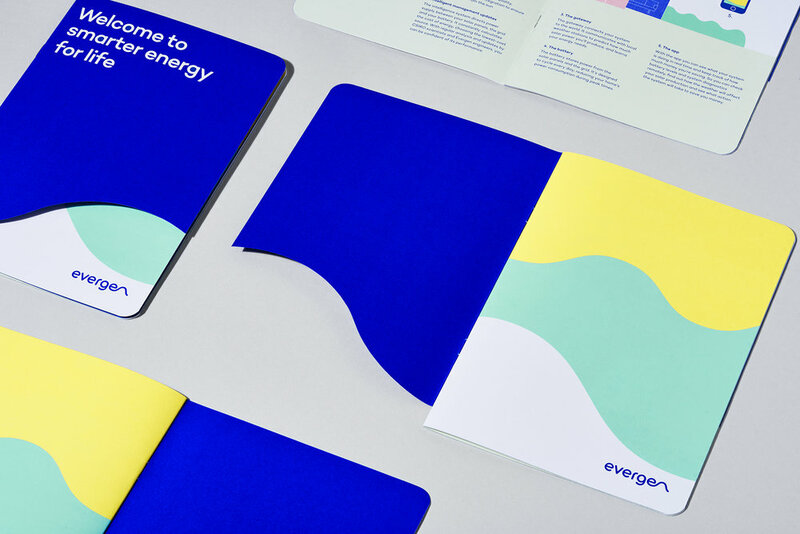 “One of the biggest benefits of intelligent or smart solar and battery technology, such as Evergen’s, is that it continuously analyses and optimises energy use and costs, choosing the most efficient source between solar, battery and the grid. The economics and efficiencies present a huge value-add for choosing intelligent renewables,” said Mr Keane. Mr Keane added that Australia’s energy system is in transition. Shifting Australia’s currently centralised energy model to a decentralised one could help solve Australia’s energy crisis. “It is a big transition but with careful implementation and investment, a decentralised model would promote competition and innovation – it presents an enormous opportunity for businesses, government and households. “With the availability of intelligent energy systems, consumers can control the grid of the future. This is an opportunity that many SMSF members are realising now and one that is more affordable for everyday Australians than ever before,” he said. The Energy Networks Association and CSIRO forecast that by 2050, between 30 to 45 per cent of Australia’s power supply will be sourced from customer-owned generators, with customers deciding how more than $200b in system expenditure is spent. 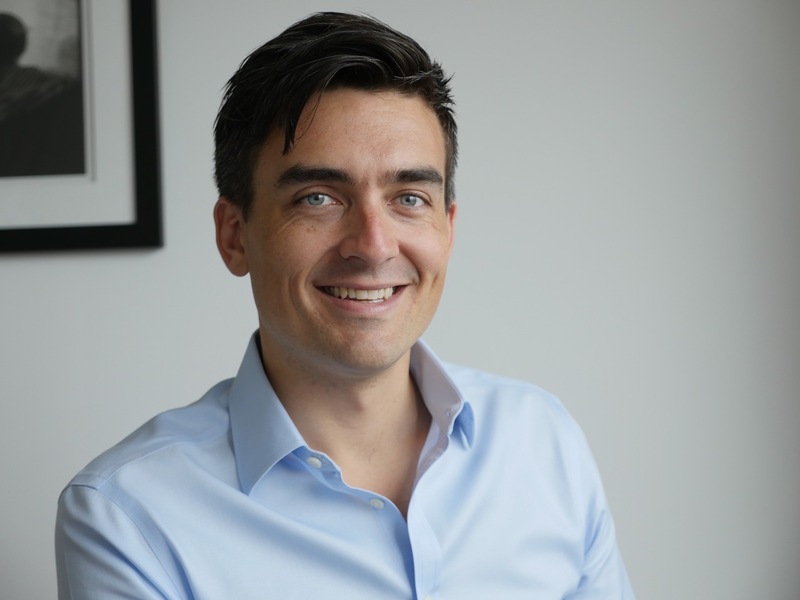 Wednesday, 28 March, 2018: Multi Channel Network (MCN) has announced the growth of its Digital Sales team with Mitchell Duff taking on the position of Sydney Digital Sales Director. 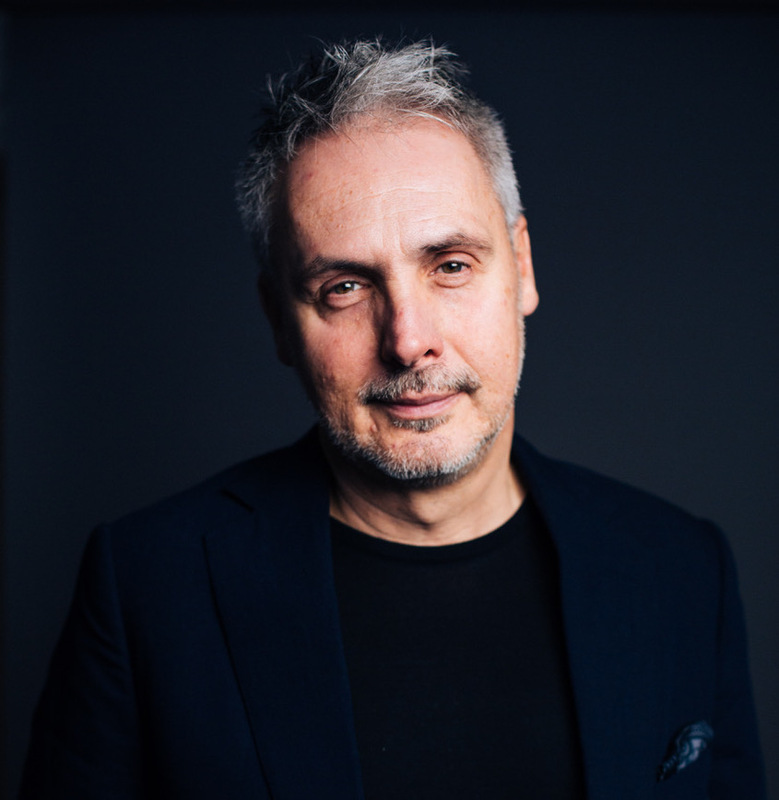 Duff will lead the state-based sales activities for MCN’s rapidly growing online, mobile, IPTV and programmatic platforms, reporting to MCN National Digital Sales Director, Nev Hasan. Duff has spent the last four years as Digital Group Sales Manager at MCN Sport, where he led the digital sales team and built brand strategies across MCN Sport’s broadcast and digital assets. Prior to that, he held roles as an OOH media professional and within the Price Indexes and Inflation department of the Australian Bureau of Statistics (ABS). Hasan said Duff’s appointment to Sydney Digital Sales Director will bring a new energy and focus to the Sydney market, following the successful appointment of Richard Baxter to Melbourne Digital Sales Director last year. Duff is effective in his new role from today. MCN is Australia’s leading media sales company, representing the advertising interests of Foxtel, Network Ten, FOX SPORTS, Telstra Media, plus many other premium content brands. MCN also represents 73 Digital Out Of Home Super Screens and partners with Qantas to manage its domestic and international inflight entertainment network. MCN is a partner in MBX, a programmatic advertising exchange with NewsCorp. 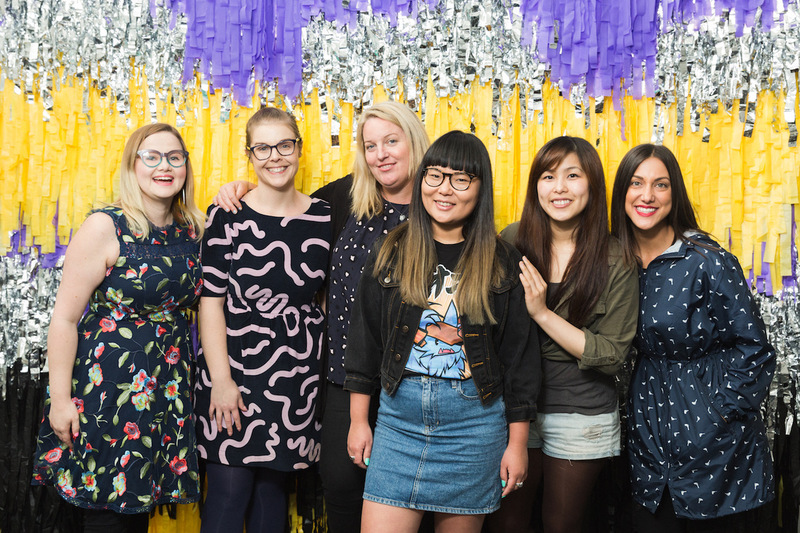 Australia, 15 March 2018: Australia’s Girl Geek Academy has responded to market demand and launched Australia’s first all-woman game making hackathon, #SheHacksGames, aimed to increase the number of women working in game development and building tangible products. Australia, 8 March 2018 – Julie Bishop is the most inspirational Australian woman, according to a nationally representative study by global media and technology company Pureprofile, where 1,000 adults were each asked to name who in the public eye was their biggest female inspiration. It’s clear that women working in, or linked to politics are making a huge impact on the public’s perception of what constitutes an inspirational woman. Julia Gillard, Hillary Clinton, Pauline Hanson and the late Margaret Thatcher also received some of the most frequent nominations. All data from a sample of 1,000 Australian respondents. Study conducted by Pureprofile in February, 2018.